WNMU has apparently gotten some unofficial mascots. 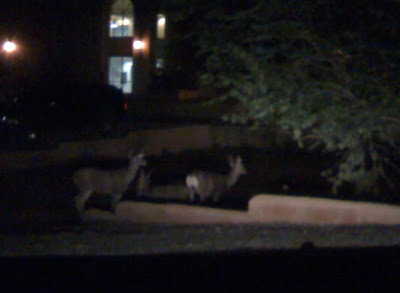 A herd of deer were outside the PD building as I was leaving my class this evening. It was quite a surprise! At least with them hanging out on campus I won't be hitting them on the highway. Who is going to shoot them on campus? A campus police officer is likey going to be the only one armed.